First of all, I would like to thanks The Sabah Society and its Committee for accepting me as the member of the club. That is why I got this opportunity to see the Signal Hill Eco-Farm. 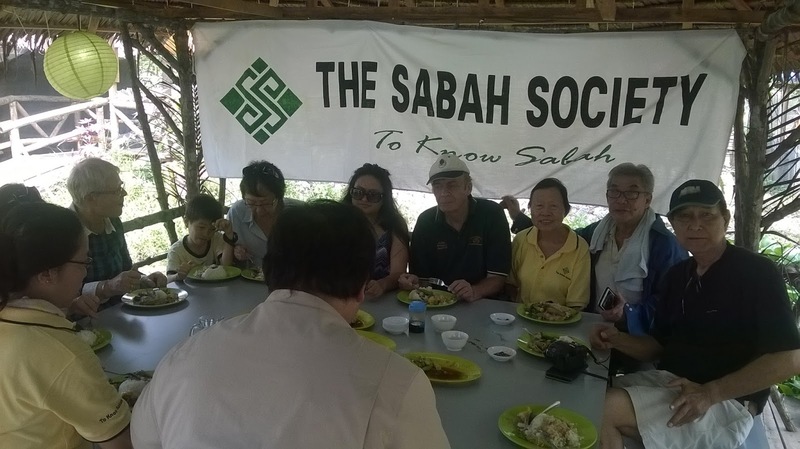 I was made to understand, prior to joining The Sabah Society, the objective of this organization is to instill awareness about North Borneo (Sabah) cultural, environmental and historical heritage. In the middle of the City of Jesselton (Kota Kinabalu), only less than 10 minutes from her historical old town, we still have this green valley, fill with secondary forests, mangrove trees, and also fruit orchards! Signal Hill Valley used to be the center of vegetables and fruit farms that supply Jesselton with all the greens from the colonial period right until the early 1980's. Nowadays most of the farm products comes from outside Jesselton such as from Kundasang, Tuaran and Papar. There is still a very few farms operating from Signal Hill Valley and one of them is Mr Lee's Eco-Farm. Mr Lee told us that the reason why he goes into eco-farming is because of passion. He has no experience as a farmer before, but because of his concern about modern diseases such as cancer, diabetes and heart problems, he decided to contribute to society by venturing into eco-farming. Eco-Farming is actually ecological farming. The main theme of eco-farming is helping to prevent soil erosion, protect the water from unwanted or hazardous infiltration and of course, bio-diversity. Organic farming is more to do with crop rotation, biological composts and natural pest control. The most interesting topic that Mr Lee explained to us is about Tongkat Ali and Ginseng Java. He told us that he doesn't use any synthetic anti-biotic for his chickens and ducks. Mr Lee believed it is harmful for the consumers if they eat the meats that have been injected with this serum. As an alternative, he feed his poultry with natural herbs such as Tongkat Ali and Ginseng Java! Until today, his animals are healthy and disease-free. Mr Lee told us that he is thankful to Universiti Malaysia Sabah (UMS) for this important knowledge. To know about Mr Lee's farm, please log on to the Facebook SIGNAL HILL ECO-FARM.